Do you have dry skin? I Do!! Sooo Dry. Are you spending time this summer in the pool, ocean, or river? Do you play sports workout or find yourself watching your kids play sports...aka do you sweat? Are you spending any time in the sun? Do you run your a/c? All of these things makes your skin become dry, dull, and rough. Your dead skin cells build-up and your skin looks and acts older! How does Active Hydration Body Replenish disrupt the Skin Dryness Industry? The best ingredient for quenching dryness to the skin's surface is Glycerin. BUT Glycerin is sticky by nature so most hydrators and moisturizers only have 1-3% of Glycerin. That's like drinking decaf coffee and expecting to get the same caffeinated result. Not going to happen. 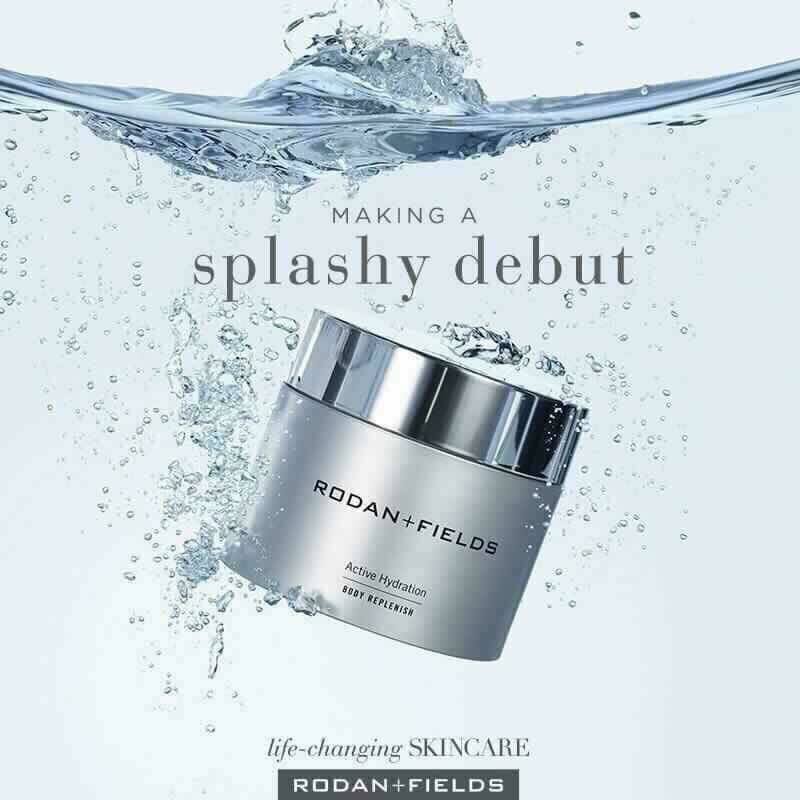 Rodan+Fields created a molecule called 3D3P that is able to deliver 30% Glycerin in a lightweight, non-sticky formula. This technology is ONLY in R+F's Active Hydration Serum, Bright Eye Complex and NOW your Body Replenish!! No one else on the market has this! No one! Watch my friend Andi and I answer questions about this new innovation! 15% off savings from the regular price on both! CONTACT ME FOR ADDED SAVINGS! Thank you for your continued support of my skincare business and all that it provides me. It is my honor to continue to bring you life-changing skincare! Cheers to finally staying hydrated inside and out!